Available as a poster in sizes DIN A1, DIN A2 and DIN A3 and as art print on canvas in size DIN A1. 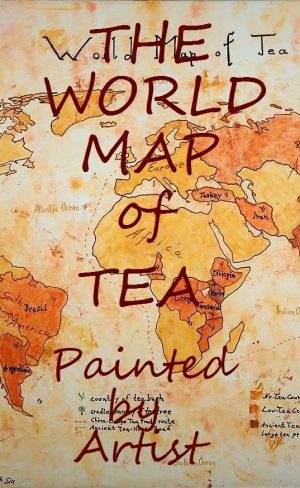 „The World Map of Tea – Painted by Artist” is the result of a collaboration between the SiamTee founder Thomas Kasper and the independent artist Elisabeth Six in equal shares. At this, idea, theoretical conception and inormational contents are on the account of the SiamTee operator. However, the artisanal implementation is to be credited to the artist in full. The goal was to create a visual icon for tea. Not more, but not less either. For more information and an enlargable photo of the work, please refer to the detailed product description below.